Shumard oak trees are one of the largest species red oaks. They are fast-growing in their youth and begin to produce acorns at about 25 years of age. Shumard acorns are a desired food source for many animals, so the acorns do not last long once they fall to the ground. 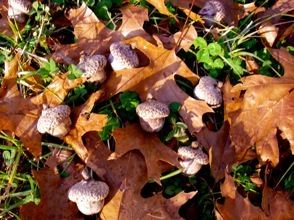 Most Shumard oaks drop their acorns from mid November to December. However, this timing is a genetic trait and depending on the tree, some may begin to drop acorns as early as mid October while some may drop into late January. Shumard oaks produce good acorn crops every 2 to 4 years with light to moderate crops in between. In natural settings, Shumards are typically found as individual trees. However, planting multiple trees in the same area increases pollination rates and the overall amount of acorns produced. Shumards are very hardy trees and can withstand both drought and flooding. They are also very stress-tolerant, making them easy to grow and care for. 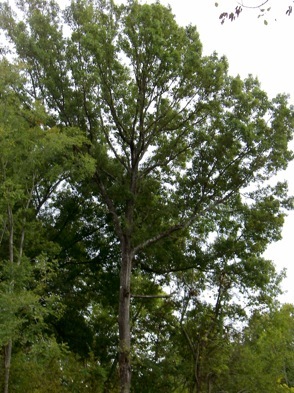 Shumard oaks are bottomland natives, but they will grow in various types of soils and are tolerant of high pH levels and nutrient deficiencies. For best results though, Shumard oaks should be planted areas with well-drained soils that receive full sun. *Shumard oaks are considered non-hardy in most parts of Minnesota. Our standard shipping period for all oak trees except Sawtooths is Jan. 15th through the 1st week of April. See our Shipping page for more information. We unable to ship trees to Alaska, Arizona, California, Florida, Hawaii, Idaho, Indiana, North Dakota, or outside the United States. **PayPal ITEM SOLD OUT notice** If you order more trees than are available you may get a message from PayPal stating that the item is "SOLD OUT" even though it is not. We do our best to provide current inventory levels but have difficulty keeping the information up to date at all times. If PayPal states that the item is sold out but the information on the website says it is still in stock you may try ordering fewer. Mississippi residents are required to pay 8% state and local taxes. Orders placed after March 31st will ship the following year.